“There are no rules for good writing” is a truism often spouted when discussing how to write. And yet, as writers, we frequently search for advice on improving our work. ‘A form, not a formula.’ I really love this book, but I should start by saying what it is not. It’s not a how to write novels or screenplays, with a list of boxes to tick – instead it’s a study of the nature of stories themselves. 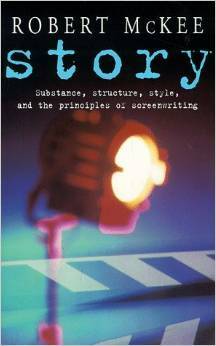 The theory is this – if, as writers, we can better understand how stories work, then we can write better stories. 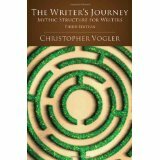 Vogler reminds us that stories are alive and conscious, with a desire to build order out of chaos. That stories often follow a three act structure, which itself is almost a reflection of the physiological act of breathing in, holding your breath and then breathing out. Building on the work of Joseph Campbell in his famous book ‘The Hero with a Thousand Faces,’ Vogler explores our appreciation of narrative, and describes in detail the story that we seem to love the best – the hero’s journey. In this archetypal tale, our hero descends from the ordinary into a special world. It is here that he or she passes major tests, confronts and survives an ordeal and then is reborn, returning to the ordinary world as a changed person. This might seem simplistic, but it is the pattern for nearly every book you will ever read, or any film you might watch. But this shouldn’t be seen as limiting to the writer. Far from it. The mythic structure is a thing of beauty and offers endless possibilities – and understanding how it works does nothing to diminish its appeal. 2. Every scene benefits from have its own mini-twist – basically, the protagonist continually striving to get what he/she wants but being thwarted by the world. All this blocked desire keeps the reader turning the page. 3. Major characters have conscious desires (for example, my heroine Biddy Leigh thinks she’ll be satisfied with marriage and cookery). They also have unconscious desires (deep down she seeks justice and the love of an equal). Her growth is about these contradictions. Discussing imagery, McKee gives a pithy two-page synopsis of Les Diaboliques (1955), a deliciously creepy film about a French boarding school that drips with watery images. Over two pages he shows how to set up a major plot twist; I probably re-read that synopsis every six months and marvel. A lot of Christopher Booker’s epic The Seven Basic Plots doesn’t work for me. Plots are slippery. Even Booker says of his seven, “At first, each is quite distinctive. But as we work through the sequence, we gradually come to see how they have certain key elements in common.” This is what does work for me, the sense that there are universal stories and that tapping into them can help us to focus our own stories. A story can take any form. There are a million ways to get where we’re going. 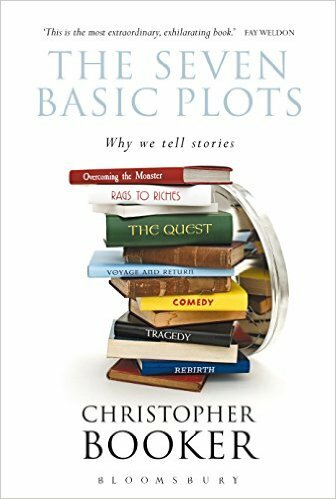 The plots we choose shape the story and knowing the plot, its form and its expectations, can help us to see where our story should go, and how to see it when we, literally, lose the plot. “Plots are points of view,” says Booker, on the “central preoccupation which lies at the heart of storytelling,” which, for me, is really just about how to live, how we are. It’s a hefty tome, but it offers thorough examination of archetypal characters, the universal shapes of stories, and how the stories we choose to tell have changed over time – and will keep changing.